Don't Ya Passover These Treats! We've discovered the best handmade treats just in time for Passover—Ovenly's pistachio honey cake (featured in The New York Times), Russ & Daughter's chopped liver, salted caramel macaroons + more straight from NYC—the other promised land. 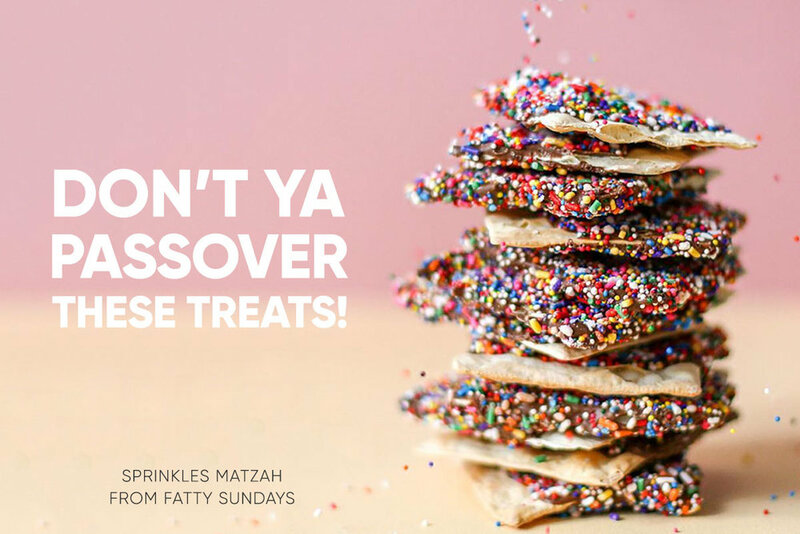 This year, thou shalt make matzo delicious with Magnolia Bakery's decadent Matzo Crunch that's drizzled with rich chocolate and crunchy toffee bits... finally making matzo the unsung hero of Passover. Take A Peep At Our Easter Feasts!